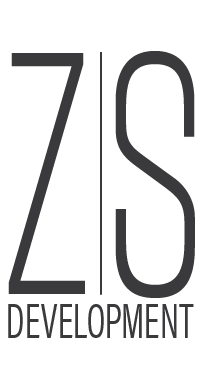 Hello, my name is Todd Zima, Design Director of Z|S Development. My role in our company and on this project is to lead the design and construction process from start to finish. As the person directly responsible for the quality of the development, the most relevant messages I hope to communicate here are that Z|S proposes to do something truly great on the Purple Hotel site, that we have the desire, capability, and development plan to do so. We understand that the storied history of failed development on this site has created a sense of urgency to move the development of the site forward immediately, and that there is a level of skepticism regarding our year-old development company. We have not had the opportunity to prove that we are the team you want to work with, but I’m confident we can make up for that starting now. Despite being a relatively new company, our approach to working with you is informed by long experience. An architect by training and practice, I’ve spent the last twenty years working on large-scale institutional and development projects, most recently as a Design Principal at Studio Gang in Chicago where I led design and construction of institutional and development projects in Chicago, nationally, and internationally for clients like the Universities of Chicago and California, the US State Department, the Smithsonian Institution, and lots of developers – admittedly, mostly good ones. I now co-lead MIR Collective, a design firm focused on community-influenced design and solving complex issues in the built environment. During this time, I have been lucky to be a part of very successful construction projects, collaborated with amazing clients and colleagues, taken responsibility for the overall outcome of very intense and challenging work, and learned what it takes to deliver world-class design and construction projects. I say that to illustrate this point: When Mike and I agreed to found Z|S Development, it was with the purpose of taking our combined experience in finance and design to create a different approach to real estate development – one that is focused on adding value for communities beyond the typical merchant developer’s. I would not have become a developer without this as the basis of our work, and I tell you sincerely that we see your project as a perfect match for this thinking, and our team stands behind our intentions and our ability to deliver. Here is where that process stands: Our project management team, Forge, is led by Eric Eichler and Nick Canellis, who are here tonight. Eric spent a decade managing large-scale projects at the University of Chicago, including the Logan Center for the Arts and the Campus North Residential Commons, for which I led the design team, among others. He went on to found Forge in 2016 and is the most thorough and dedicated project manager I have ever worked with. Eric will work with me and the village to manage the entire planning process. Nick spent twenty years as a project manager and principal at Turner Construction, one of the world’s leading general contractors, where he was responsible for delivering such projects as the Logan Center for the Arts with Eric and the Modern Wing at the Art Institute of Chicago. Nick will apply this experience to help manage the construction phase of the project for Z|S. We have planned an institutional-quality process for this development, where we will plan intelligently, consider our decisions carefully, and act responsibly in our communication and duty to the Village of Lincolnwood. We will bring you along with us every step of the way. As our first steps in that process, we have commissioned professional market analysis to back up our internal analysis and have requested proposals for Master Planning form three world-class consultants toward performing an initial planning framework. The purpose of this is to do two things our predecessors did not take the time to do: analyze market capacity formally, and test how the site can best be planned to absorb that capacity while solving for traffic and parking management, creating better pedestrian connectivity, ensuring best practices in site planning like providing visibility of public activity, access to sunlight and air, integrated sustainability, and an overall beautiful, vibrant project. We plan to execute this initial work over several months and invite Village staff, commissions, and community members to participate fully. The end result will give all of us all the opportunity to agree on the best path forward – the one that will be most beneficial to Lincolnwood, will satisfy the requirements of our financial investors, and that we know we can deliver confidently based on our market analysis and leasing partners. Only once this intelligent framework is in place do we plan to use it in seeking a lead architect and construction manager. To support this work, we have created a comprehensive schedule for the planned development process, and refined our vision for the project. We are prepared to share this information with Village staff and this Board in specific detail and hope to collaborate with Tim and Steve on refining our schedule to make sure it corresponds as much as possible to your hopes and expectations. Our team has done this before, from all sides of the table, and envision inviting world-class architects and builders to create unique value in your project. I will not presume to take the time here to further describe this or other aspects of our process that we believe will set our team and the project apart, but invite anyone on this Board who is interested to meet with our team at your convenience to hear more. Thanks for listening to all of that. Here’s the point: The current Concept Plan commissioned and adopted by the Village is similar in its vision to what we saw in the previous development proposals and see in similar mixed-use developments in the area. While the concept plan might make some happy in the short term because there would be something built on the site, we believe it would leave Lincolnwood living with a formulaic result, destined to watch other communities build more forward-thinking projects capable of addressing today’s needs and adapting to the changing nature of markets and life in communities like yours. We offer you the opportunity to collaborate on a different sort of project - one that meets all of the desires of the Concept Plan but takes it farther. A plan that will transform the legacy of this site and your Village to one of success and set Lincolnwood apart as a regional model for smart development. Given the chance to work with you, we will prove you right in voting no on the proposed ordinance. We hope that you see the value in our experience, thought process, and the quality of our team, and will resolve to give us the opportunity to follow through on our preparation and prove what we have said here tonight.